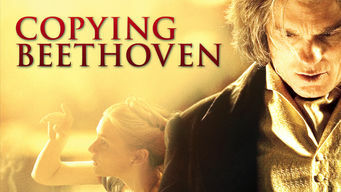 How to watch Copying Beethoven (2006) on Netflix Netherlands! Sorry, Copying Beethoven is not available on Dutch Netflix, but you can unlock it right now in the Netherlands and start watching! With a few simple steps you can change your Netflix region to a country like United Kingdom and start watching British Netflix, which includes Copying Beethoven. We'll keep checking Netflix Netherlands for Copying Beethoven, and this page will be updated with any changes. Copying Beethoven is not available in Netherlands BUT it can be unlocked and viewed! Serving as Ludwig van Beethoven's copyist gives a conservatory student access to the composer's musical genius -- but also exposes her to his cruelty. She became the trusted confidante of a musical titan. But she underestimated the temperamental nature of his genius. There is a way to watch Copying Beethoven in the Netherlands, even though it isn't currently available on Netflix locally. What you need is a system that lets you change your Netflix country. With a few simple steps you can be watching Copying Beethoven and thousands of other titles!